An evening of professional networking in one of Philadelphia’s premiere Italian restaurants is one of a series of events planned to help raise money to support the local fight against cancer. 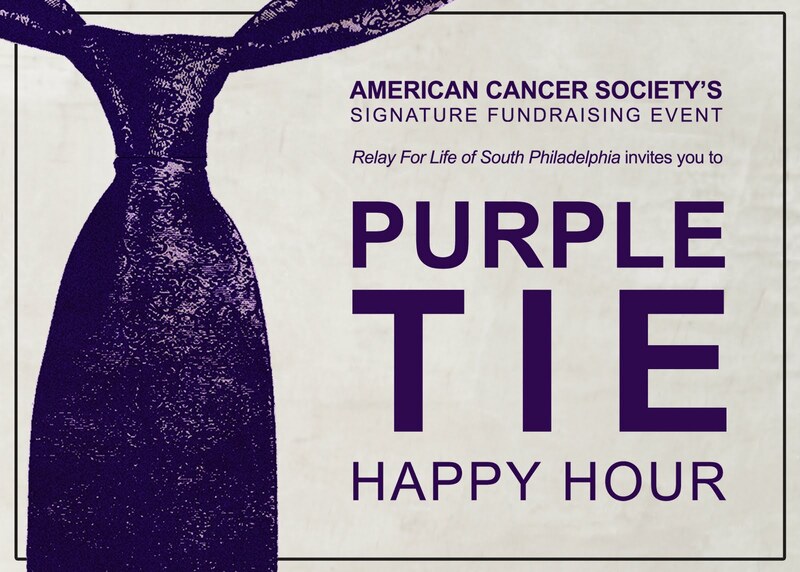 Relay For Life of South Philadelphia, the American Cancer Society’s signature fundraising event, will host its first Purple Tie Happy Hour tomorrow, Thursday, February 24 from 6 to 8 p.m. at Positano Coast at 212 Walnut Street in Old City. The American Cancer Society invites members of professional communications organizations to socialize in order to raise money for Relay For Life of South Philadelphia that will be used to directly fund cancer research and treatment in the Philadelphia area. Professionals will be offered beer, wine and authentic Italian hors d’oeuvres during an enjoyable evening of philanthropy. To learn more about Relay For Life of South Philadelphia and the other fundraising events leading up to the Relay in June, visit www. phillyrelay.org, follow @RFLSouthPhilly on Twitter or connect with Relay Philly on Facebook.